EXCHANGE THE VEHICLE FOR ANOTHER VEHICLE: You may exchange the vehicle for another vehicle of the same or equal value of your approval. The vehicle must be of equal of greater value and all related conditions listed above in the MONEY BACK GUARANTEE paragraph still apply. The exchange will also, obviously, be on the subsequent re-approval of your credit on the 2nd vehicle. FREE CARFAX REPORTS ON EVERY VEHICLE IN STOCK: Buy with ease on every Dennis Dillon No Risk Vehicle. We certify that every Pre Owned Vehicle we sell will have a clean CARFAX bill of health. Protect your investment from collision, floods, fire, and lemons. ALL USED VEHICLES INSPECTED TO NO RISK STANDARDS: Every Dennis Dillon No Risk Vehicle goes through an extensive Inspection and Certification process by factory trained technicians before it is made available for purchase. Our goal is to provide the highest quality Pre Owned vehicles to our customers. SERVICE AND MAINTENANCE AT ANY DENNIS DILLON LOCATION: With 7 Locations, you can take your vehicle to any Dennis Dillon Service and Parts Department for all of your Maintenance and Service needs. **subject to $200 deductible per repair. Scheduled maintenance required. 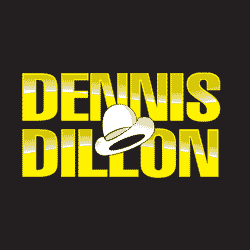 See any Dennis Dillon dealership for warranty details. Excludes grey market, vehicles over 175,000 miles and specialty vehicles including but not limited to AMG, JAGUAR, RANGEROVER, CORVETTE, BMW 8 series. *Exclusions – Fleet Vehicles, Vehicles used for Livery, Taxi or delivery services, Customers or family members of customers who have previously returned vehicles under these programs. Vehicles that have been altered prior to or after the vehicle was delivered.